Performance coaching is a methodology designed to help people rise to the challenge of excellence in their chosen domain. When delivered by the right professional, it will unleash your peak performance. The performance coach will work with you to establish a clear plan with principles and practices that enhance your ability to deliver on your professional aims and promises. What Do Performance Coaches Help With? In every professional domain there is an element of “performance.” There are fundamentals in every profession. To attain mastery in any domain requires practice, continuity and guidance. A coach can help you to raise your game on and off the court, inside and outside the boardroom. He or she will bring a focus and rigor to the process. They will deliver specific principles and practices that improve your ability to connect with your people in pursuit of your goals and on behalf of your mission. A coach works with clients to be better prepared in high-pressure situations to deliver the goods; trained to successfully navigate change, and successfully close deals and fulfill on commitments. 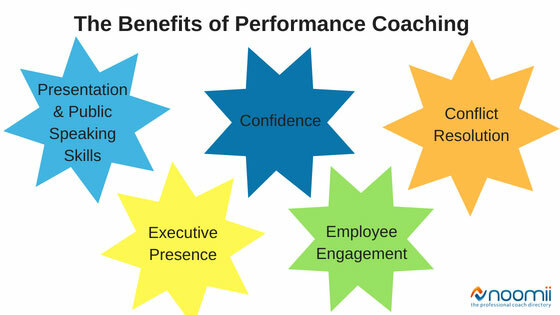 What Are The Benefits of Performance Coaching? With greater clarity of purpose, fresh insights and a plan to execute, a bright and willing client can generate accelerated growth with quantifiable results. They will have the ability to move into action with greater ease and potency. Performance coaching clients observe improvements not in only in the specific areas of focus, but holistically. Client and coach establish the vision, goals, metric and path for success. Together they identify the specific aspects of the client’s game. What’s working and what could be improved. The aim then is to cultivate the essential skills or attributes required for that particular role. Regardless of the job, role or career, we are measured on performance. In sports, we track an athlete’s games won and lost. As professionals, we are judged on our results, on our ability to collaborate with others, to influence and to hit our objectives. There are written and unwritten rules in company culture, corporate politics and moving up the ladder. Oftentimes, we do not see what others see about us. We are not necessarily self-aware in the moments of our performance. If we get feedback it usually arrives late. A performance coach will offer feedback during your preparation. Coaching can be designed to shine a light on what is not readily apparent to you. For example, conflict. Some think of conflict as a negative and thereby avoid it; others see conflict as a necessary dynamic to collaborative endeavors. Because of these attitudes, we may not see how our behavior is received by others. These blind spots can interfere with our ability to work well with others. They can inhibit our capacity to advance our goals and achieve our dreams. Therapy is a specific intervention provided by either a licensed psychologist or medical practitioner trained in working with people with mental, emotional problems, behaviors or medical issues. 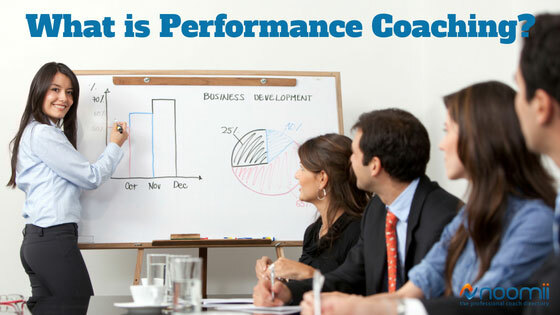 A performance coach works with professionals to cultivate their skillset and improve their performance. Coaching can at times be therapeutic, especially an embodied or somatic approach, but it is not therapy. The length of the performance coaching engagement depends on the performance/project. Certain clients want to be better prepared to deliver a specific 30-minute business presentation at an upcoming forum or board meeting. In this case, a performance coach could spend anywhere from one hour to eight hours with the client, depending on the need, budget and lead-up time available. Another client may want to cultivate trust and rapport with her leadership team. She has broader leadership concerns than a one-time presentation, hers are more holistic and will require a longer-range development commitment. For this type of client, the coaching engagements go anywhere from a single coaching session to once or twice a week over the course of six months to a year. Every client can determine with the coach, the right cadence and timeframe for their respective goals. What to Look for When Selecting a Performance Coach? Experience. A coherent approach or methodology. Resonance. Candor and Care. A professional who can truly listen and help you to feel seen and heard; and who has the ability to help you see new ways of moving in the world, can help you to access and utilize your skills, express yourself with power, passion and poise. What Does it Cost to Work With a Performance Coach? Recently, a client of mine who is the president of a general contracting company commented that, "We don’t bid jobs where the client’s number one concern is cost." He learned that the hard way. Doing more for less and getting little in return. Bad for the client and the GC. Like in most professions, the fees charged by providers vary. Some performance coaches charge on a per-project basis while others charge an hourly, monthly or package rate. You can expect to pay $100 to $300 per one-hour session, with monthly or package fees in a range from $1,000 to $5,000. Think about what your improved performance is worth to you. Worth in terms of dollars, time and sweat equity. Be prepared to ask your questions about money. Do your best to articulate your conditions of satisfaction as the client. In other words, ask for what you want. The right performance coach will either be able to deliver or will be honorable and wise enough to let you know that they cannot. The coach in this case may make a counter offer redefining conditions of satisfaction. If you can get on the same page, you are off to an auspicious beginning. How do I Find the Right Performance Coach? Ask friends or colleagues who they recommend. Review the hundreds of different performance coaches available on Noomii. You can also request a personalized coach recommendation and Noomii’s coach match specialists will email you a selection of coaches that fit your needs and your budget. Talk to at least three coaches that appear to speak your language. Tell them what it is you want to accomplish. Ask them about their approach or methodology. Step in, step up, take the leap and begin the journey to become a Peak Performer! LOOKING FOR A PERFORMANCE COACH?